Whisk together yogurt and taco sauce in a small bowl until completely combined. 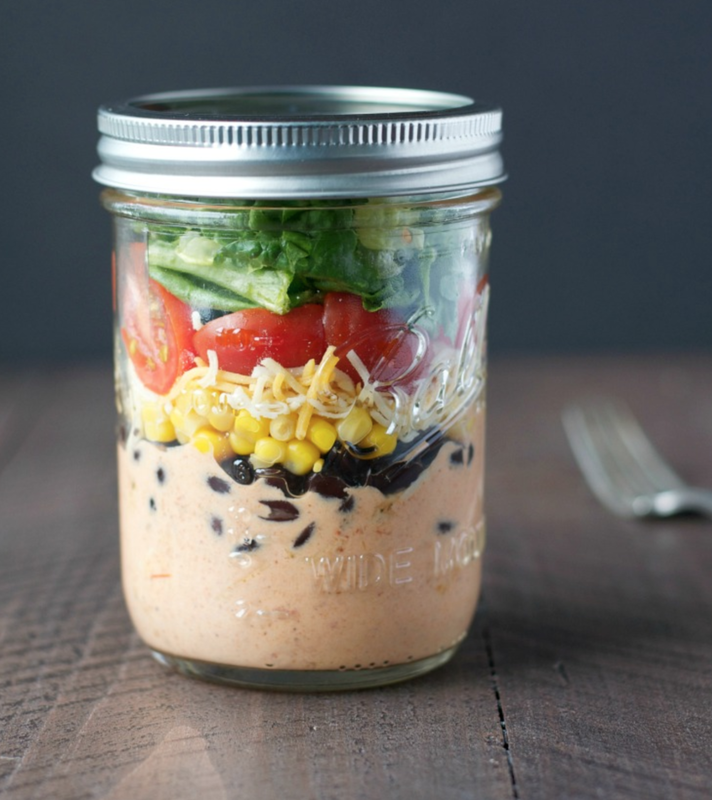 Place an equal amount of dressing at the bottom of each jar. Divide remaining ingredients among the jars, layering in the following order: chicken, black beans, corn, cheese, tomatoes and lettuce. Twist on the top to seal your salads and refrigerate until ready to serve. When you’re ready to eat, just dump the jar onto a large plate or bowl and enjoy!